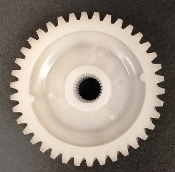 Plastic gear with sensor magnets for Ceramic grinder motor. 38 teeth, 15mm thick. 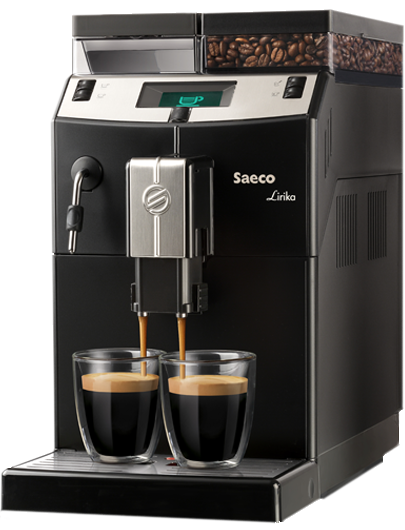 Use for Saeco, Gaggia, Spidem ceramic burr grinders in Odea, Talea, Primea, Xelsis, Synthia, Exprelia, Itelia, Intuita, Minuto. Incanto Rondo, Sirius, Deluxe and Gaggia Platinum line, Brera and Accademia models. Please see picture for the stronger large teeth of the new gear to match the new worm gear and motor. This gear is used only with the new grinder motor. Old gear with fine teeth #226000100 not available any longer. New plastic gear and new grinder motor is available as a kit.